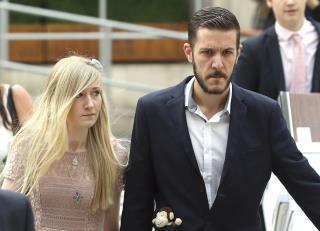 (Newser) – The parents of a baby with a rare genetic disease stormed out of a London court hearing in an emotional outburst Thursday, as the couple tried to convince a judge to let them take 11-month-old Charlie Gard to the United States for medical treatment. A succession of judges has backed specialists at Great Ormond Street Hospital, who argue experimental treatment in America won't help and may cause suffering for Charlie. The parents hoped to present fresh evidence to alter that view. Two hours into the High Court hearing, questions from Judge Nicholas Francis prompted tensions to boil over. Charlie's mother, Connie Yates, accused Francis of misquoting her earlier statements about Charlie's quality of life. "We said he's not suffering and not in pain," Yates yelled. "If he was we wouldn't be up here fighting." The child belongs to the parents, not the government. Are they abusive? To the contrary, they are doing everything possible out of true love and devotion that only a parent, not a doctor or a court could understand. Why are they afraid to let the kid come to America? My guess is the crap government insurance bureaucrats are rationing their crap system but they are afraid something in America might extend the kids life and expose their pathetic system. Absolutely disgusting, and shame to all the liberals on this post who want to pull the plug in this kid. It's not your decision. Let this child die in peace.